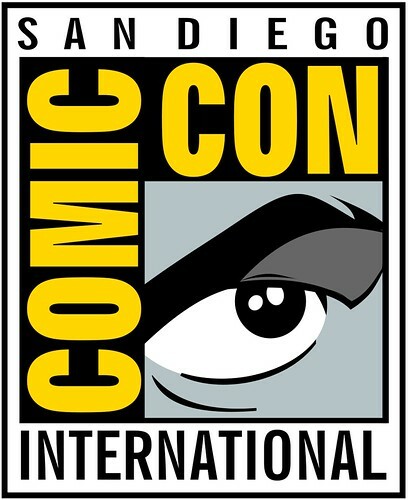 San Diego Comic Con is THIS WEEK! While all of the top talents booze, schmooze and chanteuse their way through the biggest pop culture festival in America, the publishing industry that started it all will still be turning out great titles. Join us this week, here in the hallowed halls of The Forbidden Planet, for the amazing, incredible weekly comic book extravaganza known as “New Comics Wednesday,” a.k.a. “Business As Usual Con, 2012,” which is now in it’s 28th week running! Titles premiering the week of SDCC can be astonishing! In 2002, Mike Mignola’s Amazing Screw On Head hit the stands on opening week, and in 2006 it was Alan Moore stealing the show’s thunder with a little slip case bound, three volume set of Lost Girls. Image wants the world to know they’re launching a spin off to the once obscure, now high-profile bizarro crime comic CHEW this week with Chew Secret Agent Poyo #1. Will this be the big, big book of the Con? I dunno’, IDW is launching their own #1 with Battle Beasts #1 and I cannot WAIT to read that sucker and find out how they squeaked a narrative into THAT tiny 80’s toyline. Dark Horse is keeping in the spirit of BAUC 2012 with the latest issue of Buffy Season 9, as well as the latest issue of their continuously impressive neo-horror comic Creepy (#9). Creepy has been a sleeper title, a blink and you miss it treat where some of comics best established creators in horror and beyond let their scraggly hair down to have a little fun. Monthly horror stories from all sides of the tracks, with contributing talents such as Bernie Wrightson, Kelly Jones, Steve Niles, Peter Bagge, and more! Dark Horse is adding another monthly horror book on to your pull list this week with the premier of Eerie #1. Will lightning strike twice? I sure hope so! Rumors are already spoiling Marvel’s thunder, as many of the big announcements The House of Ideas plans to reveal are already common knowledge online. Rumors such as a wide spread relaunch of several big name titles, such as X-Men and Avengers, with new creators, costumes, and rosters. While not launching at the same time, most of these new books will start over with new #1 numbers on their cover. Now where did they get that idea, I wonder? Anyway, Bendis has the latest issue of Avengers Assemble (#5) on stands, which does feature a certain raccoon named Rocket who is rumored to be on a future, rebboted Avengers team. You’ve been warned. PLUS: People keep on kicking OTHER people in the pages of the “all fists, no thinking” fun fest that is AvsX #4, some REALLY heavy duty stuff is going down in the pages of Dark Avengers #177 and Alan Davis gets to play with all the toys in a solo (W/A) stint on the Fantastic Four Annual #33. This week has LOBO stirring up trouble in the pages of Deathstroke #11, Batman #11, a not-to-be-missed conclusion to the thrilltastic Court of Owls storyline. Meanwhile, Damien the crazy Robin plans on punching each and every previous Robin out cold, starting with The Red Hood, A.K.A. “I’m Not Dead” Jason Todd, in the pages of Batman and Robin #11. Plus, Suicide Squad #11 plans on being their most violent issue yet…THAT I have to see. All good titles, and a few good attempts to steal some headlines, but 2012 will always be remembered as the SDCC when Valiant Comics came back from the dead. If you can’t make it to SDCC this year, why not check out Bloodshot #1?